Zambian boxing fans based in Ndola have commended their Kenyan counterparts for publicly condemning the outcome of the WBC super bantamweight championship between Kenya’s Fatuma Zarika and Zambia’s Catherine Phiri. ZANIS Ndola reports that the boxing fans in Ndola are elated that their real boxing fans in Kenya have out rightly said the Zambia challenger was robbed of her victory. The fans noted that unlike other sports, boxing was one sport that clearly showed who had been beaten and who had not. 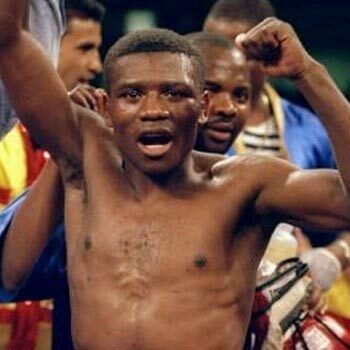 Charles Ngulube noted that the decision by the judges in Kenya was very poor as it was evident that the Kenya boxer had been clearly beaten by her challenger. Ngulube has since advised Catherine to challenge for the belt again in the near future and at a neutral venue. Another fan, Mwango Phiri, noted that it is important for officials entrusted with responsibility to carry out the responsibility in a fair manner. Boxing fans in Kenya took to social media to condemn the manner in which the results for the ten-round bout were given. The fans who were not convinced that Zarika deserved to win questioned the impartiality of the judges. Zarika’s recent victory over Yamelith Mercado of Mexico also came under heavy criticism with the Mexican declaring that she had been robbed of her well-deserved victory. The judges Michael Neequaye, Fillemon Mweya and Irene Semakula gave their scores as 98-92, 99-91 and 97-93 giving Zarika a 3-0 unanimous decision.